C.A. 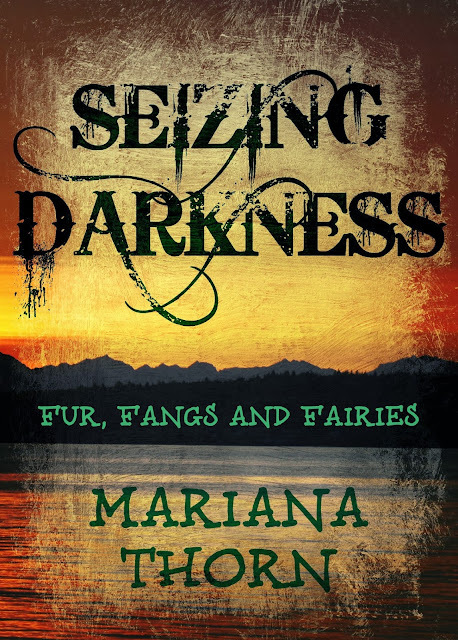 Szarek Author: Tell Me About it Tuesday welcomes Mariana Thorn! 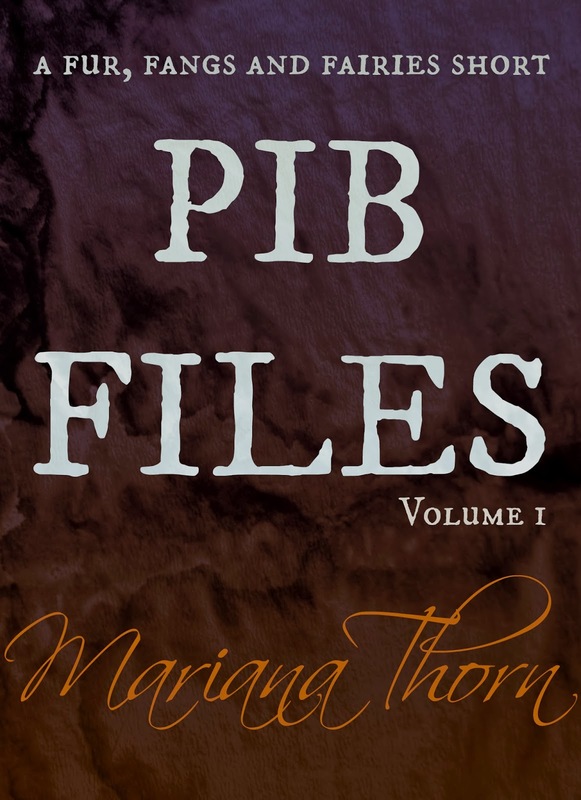 Tell Me About it Tuesday welcomes Mariana Thorn! If you look in the local Starbuck’s or Barnes and Noble you might just find Mariana Thorn. She can usually be found with headphones in and deep into the worlds she has created. There is this thing about her pens if you touch them you might receive a smack to the hand and the well-known glare of destruction. C.A. : Good morning Dante. Thank you for stopping by before you retire for the day. Let’s start off with you telling us a little about yourself? Dante: What do you want to know. I’m a vampire. I don’t sparkle and I feed on humans. I don’t do it by choice but by need. I don’t kill them. I’ve come to terms with what I have become but it isn’t easy. I work for a weretiger named Val at the Paranormal Investigation Bureau. I have worked there since its creation. Right now my partner is a weretiger named Natalya. She isn’t bad for a were. She has a strange addiction to coffee though. Of course we work nights and we get thrown the most interesting cases. I’ve seen a lot and experienced a lot in my lifetime. C.A: Your life sounds rather fascinating. Here’s a fun one. What was the first thought you had when you woke up today? Dante: I was thinking about our current case. Agents are turning up dead. I was also thinking about how to restore Natalya’s memories. She doesn’t remember before a year ago. I think we are going to need to know what she knows before this is over. C.A. : It must be frustrating. What did your calendar for the past two weeks look like? Dante: Running down leads, examining bodies. It is not something that is fit for civilized conversation. C.A. : Who was the last person you spoke to? C.A. : What did you talk about? Dante: I was giving him a report on the situation and he was giving me his directions. C.A. : That’s rather cryptic but I guess you can’t reveal too much when in the middle of an investigation. What would a typical evening, well in your case morning, look like to you? Dante: Sometimes Natalya and I will go to the nonhuman club the Gamut. I’m usually there to keep her out of trouble. If I am in the middle of an investigation then I’m doing paperwork or following leads. C.A. : What was your last nightmare? Dante: I’m an old vampire. Do you really want to know what can scare someone like me? Fine, it involves a lot of blood and that is all you will get from me. C.A. : You’re right it might be best not to delve too deep into your mind. What do you do to relax after a bad day? Dante: I’ve seen so much in my lifetime that nothing really phases me these days. But I guess I would be with those I consider my family. C.A. : If you could have two whole weeks for vacation and go and do anything you wanted money not a problem what would it be where would you go and why? Dante: I’ve never really thought about it. I like my job, I feel it’s important to keep the nonhumans and humans living peacefully. There is always something stirring. C.A. : Where would you go to hang out if you wanted to feel comfortable? Dante: You would think it would be with the vampires but it’s not. Anywhere that those I trust are is where I feel comfortable. C.A. : In an emergency who is the first person you call? Dante: It would be one of four people depending on the situation. C.A. : Your house is on fire, you have less than a minute to grab 5 things what are they? Dante: I would just make sure every person and creature is out. I’ve lived long enough to know that all possessions can be replaced but those you care about cannot. C.A. : If you could bring one person back to life it's been a full day with him or who would it be and what would you do? Dante: I’ve lost many people over the years I couldn’t pick just one. So, Dante, tell me about your book, too! With her past distant and forgotten Natalya has built herself a nice life. She has a job she finds rewarding as a special agent with the Paranormal Investigation Bureau. Her partner, Dante, isn’t too bad for a bloodsucking vampire. Val, her boss, is like a father to her. Her favorite part is that she lives near the Cascade Mountains. Whenever she needs a little vacation, she can shift into a tiger and go running in the woods. Life is good. That is until recently. Agents are turning up dead and she can’t pin down what is going on. Little does she know that her past is about to come back and bite her in the tail. With no memories before the last year she is a little behind the curve in finding out what is going on. The investigation turns dangerous as the attack turn personal. Lives are on the line, including her own. Will Natalya find out what is going on before it’s too late? What does dozens of missing manhole covers, a completely unhinged witch and a werewolf suicide have in common? That it is just another night at the office for Agent Natalya Ignatiev of the PIB or the Paranormal Investigation Bureau. In this short collection of case files, we are taken behind the scenes on some of the craziest calls the agents of the PIB deal with on a daily basis. Just a little insight into one of the most bizarre jobs out there because when the supernatural are involved anything is possible. Sunday Snog: Chance Collision's First Kiss!